Vilma Machava’s poster from the 10th WIOMSA symposium, which documents the mangrove value chain in central Mozambique; stakeholder engagement and their current and potential benefits and monetary pathways involved in different stakeholder and related sites. 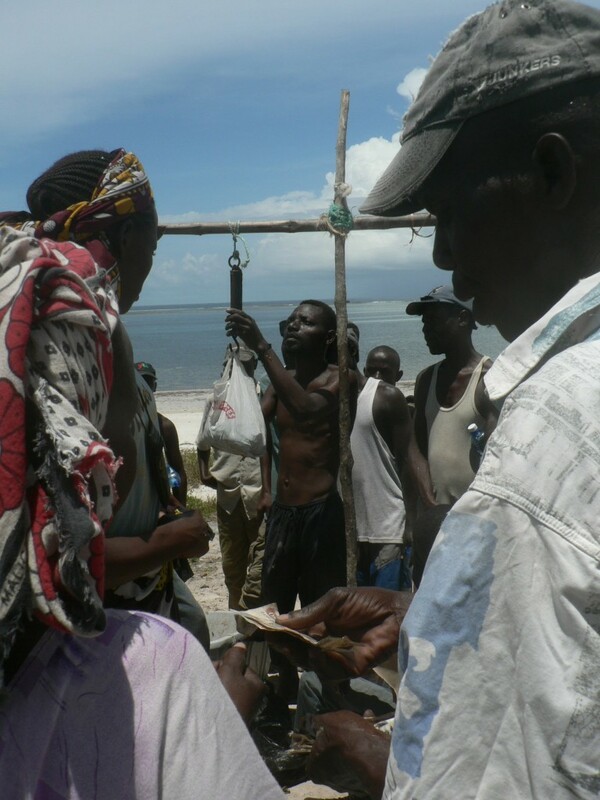 This working paper synthesizes results from value chain mapping of four types of commodities (octopus, small pelagics, mixed reef fish and mangrove pole) across four sites in Coastal Kenya (Jimbo/ Vanga, Tsunza, Kongowea and Mkwiro/Shimoni). Data was collected within the SPACES project, by the SPACES field team in Kenya from 28th November 2014 to 31st January 2015. It draws on information from the site reports from the four sites and outlines the maps of the fisheries and mangroves pole value chains in each site. Each value chain is characterized with respect to number and types of actors involved and a comparative analysis is conducted of value chain characteristics and complexity across fisheries and sites. Mangroves provide important socio-ecological services to coastal communities, such as coastal line protection, fish, shrimp and crab fishery, provide domestic fuel and building material. If excessive, the extractive exploitation of mangrove resources can lead to substantial changes in the forest structure of mangrove forests, and can also impair the provision of ecological services. This study assesses the structure and condition of human exploited mangrove forests in peri-urban (Pemba) and rural (Olumbi, Vamizi, and Lalane) communities with contrasting cultural habits in northern Mozambique.